You can’t just plug a camera into a computer. Published on October 31, 2018 by Wade Shepard Follow me on Twitter here. ROCHESTER, New York- For some reason, many major media sources in the world don’t seem to care if they air video interviews with people recorded via Skype that look and sound absolutely horrid. But going on these shows with low quality video and audio really bothers me. This drives me nuts, actually — so much so that I often record video and audio for the news agencies myself and then send it to them afterwards. So I decided to invest a little money into gear that would allow me hook my cinema cameras and mics up to my computer to be used over Skype or other video call programs. 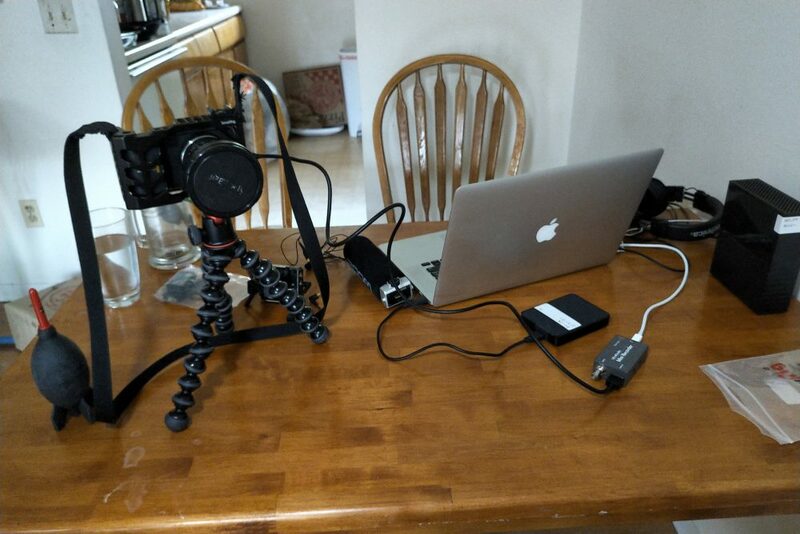 You can’t just plug a camera or microphones into a computer via HDMI, USB, or Thunderbolt. That would be way too easy. No, you need to use what’s called a video capture card as an intermediary. 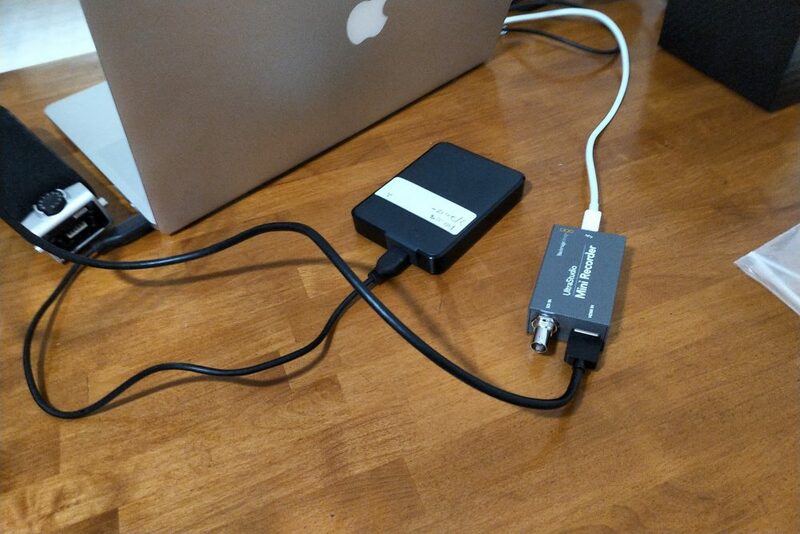 A video capture card is basically a box that has RCA, SDI, or HDMI inputs and a USB or Thunderbolt output. You just plug your camera into one side and then plug it into your computer on the other. Then you can use your dslr or cinema cameras as proper webcams or capture what you’re filming via video editing software, Quicktime player, or a specialty program that’s made just for this. A video capture card can also be used for doing live broadcasts — like on Facebook or Youtube — or digitalizing analog video and audio. 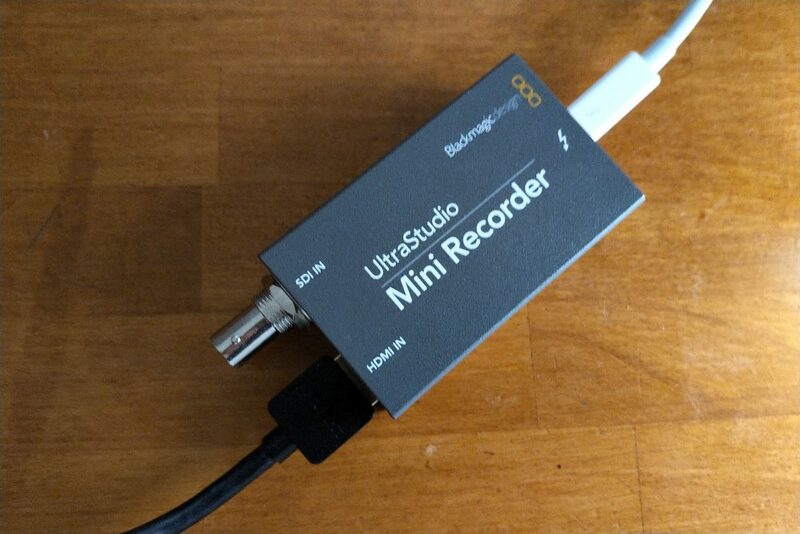 I use a Blackmagic Ultrastudio Mini Recorder as my capture card. It was around $150 and comes with surprisingly usable video capture software. I also tend to go Blackmagic when I can — my cameras and primary video editing program all come from this Australian company. As of now, I’m mostly using this set up for Skype interviews, but I may use it more for live video feeds in the future, as it would enable me to set up my camera on-location somewhere interesting and do live broadcasts — maybe a travel Q and A show or something where the audience gets to ask the people I interview for my stories questions or something like that. My video capture card, the Blackmagic UltraStudio Mini Recorder. What this setup looks like.